It's the tenth anniversary of Independent Bookshop Week! This week (Saturday 18th - Saturday 25th June) is Independent Bookshop Week which was created to celebrate independent bookshops across the UK and Ireland. There are tons of events happening in independent bookshops everywhere and I highly suggest you check out your local bookshop to join in. Well I'm actually scheduling this post in advance because when you're reading this I'll be on holiday (woohoo!) so I'll most likely be toting my e-reader around in my beach bag. But at the time of writing the book that's in my bag is The Girl in 6E by A.R. Torre, which is a much hyped mystery-thriller that I haven't figured out my thoughts on yet! I read quite a lot of great books so this is a difficult one! But it probably has to go to The Girls by Emma Cline which is a recently released debut novel published by Vintage. 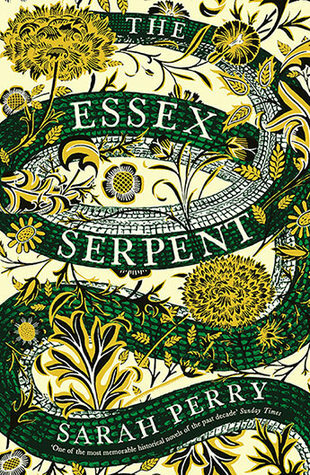 I did a full review of this book which you can read here. I don't often gift the same book to different people because if I'm giving someone a book I want it to be the perfect book for them and something that they'll really enjoy. However last Christmas I gave Ready Player One by Ernest Cline to both my boyfriend and my brother because although I haven't actually read it myself, I've seen that many rave reviews that I knew they'd both love it - and they did! Gosh this is a hard one, I've visited so many wonderful bookshops that it's hard to pick just one! I visit North Norfolk with my family at least once a year and whilst there we always visit as many bookshops as possible, but my favourite is probably the Old Station bookshop in Wells-Next-The-Sea. As you can tell by the name it used to be a railway station that was built in 1857, it's a really beautiful building and the twisty-turning rooms are piled high with books, including antiquarian books and rare first editions. No matter how busy it gets, it's always almost silent and the dusty air is filled with that special anticipatory atmosphere only found in the best bookshops. The couple who own and run the shop are so lovely and I rarely walk away from there without a tote bag full of books. I highly recommend a visit if you're ever in Wells. I feel like most of the books I read these days have been recommended to me by booktubers or other bloggers! I probably wouldn't have discovered the Saga series of graphic novels (or graphic novels in general) without booktube and I absolutely adore that series. As for my favourite book recommended by a bookseller I think that would have to be Station Eleven by Emily St. John Mandel which I was pondering buying in a bookshop when a bookseller jumped in and told me it was their favourite read of the year, which just sealed the deal for me, and it then became one of my favourite reads of 2015! I don't have any specific favourite bookshop memories but living in quite a remote area and dealing with chronic illness means that I don't get a chance to visit bookshops very often so each time I get to do that is special to me. Ever since I was little bookshops have been the most magical places for me. There's just this feeling of excitement, joy and intense satisfaction that I get from being in a bookshop, surrounded by stories I love and so many potential stories. Bookshops are one of the places I feel happiest, most comfortable and just like I'm where I belong. I think it has something to do with my various anxiety disorders and how out of place I often feel in public spaces but in bookshops I know I'm around 'my people', people who love the same thing that I do, and it just makes me feel so much more comfortable. It's always been a dream of mine to be a bookseller and I'm definitely going to make it happen one day, no matter what. This is possibly the most difficult question ever, I've read so many books it's hard to narrow down the ones that have influenced me most! I'm going to the get the obvious out of the way first and say the Harry Potter series because the books were released when I was growing up and I felt like I was growing alongside the characters, and I think those books got me through my difficult teenage years and kept me reading when I might've stopped. I'm also going to say The Colour Purple by Alice Walker as it was one of the first books that I studied at school that I really loved and was passionate enough about to write an essay that I was really proud of and that ultimately convinced me to study English Literature at university, without which I might not be where I am today. But I would say that every single book I've read has affected me, influenced me and enabled me to become a more thoughtful reader. Well, obviously all fathers and father figures are different and I'd definitely say a thoughtful and personal book would be best (my dad would love nothing more than a book on fly-fishing that he hasn't read yet!). But if we're talking generally I think The Martian by Andy Weir is a great gift for Father's Day, although I haven't actually read it myself yet, I haven't heard one negative review and it's a book my dad and brother both really enjoyed. This might seem like a rather strange one but I read Jurassic Park by Michael Crichton last year and I unexpectedly really enjoyed it and I've been really wanting to get to the sequel The Lost World, which I'm hopefully going to read on holiday! They're not the most well written books and the science is fairly questionable but they're such gripping page-turners and I mean, come on, dinosaurs. So those are all the questions! 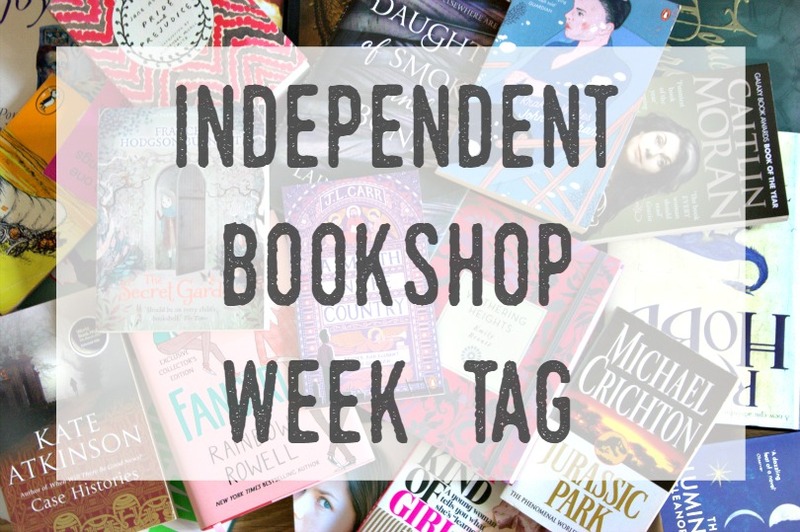 I hope you find a way to celebrate Independent Bookshop Week and if you're reading this and you want to do this tag then consider yourself tagged! 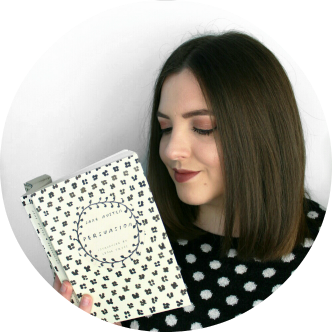 I'm also going to tag some of my favourite bookish bloggers and friends: Emma of The Eggplant Emoji, Grace of Almost Amazing Grace, Emma of Emma's Bookery, Ali of Ali Caitrin and Aisling of Aisling's Beauty Bites!